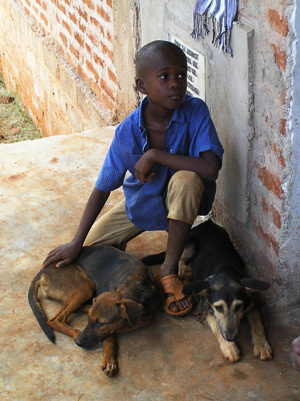 The Blueprint for Canine Rabies Prevention and Control has been developed by global rabies experts to serve as a guide for countries that would like to prevent human rabies by eliminating canine rabies within their borders. The Blueprint brings together relevant information on rabies prevention from specific International Health Organizations, published data from the field, and includes case reports for closer examination of how human rabies can be prevented and canine rabies can be eliminated. This Blueprint is not meant to replace existing material or national guidelines but rather is meant to serve as an easy to use guide to assist countries in understanding how to prevent and control rabies. The Blueprint is applicable for countries where rabies is present and also for countries where rabies has been re-introduced. It is organized in a simple Q&A format, contains concise clear key messages, and includes links to specific documents and websites for more information if so required. The Blueprint includes specific guidelines for canine rabies control. For countries where canine rabies is present, all guidelines included can be accessed from the left navigation bar, the Site Map or this diagram. For countries where canine rabies has been re-introduced, specific guidelines can be found here. Partners for Rabies Prevention (2017). Blueprint for Rabies Prevention and Control Version 4. Available at http://www.rabiesblueprint.com/.